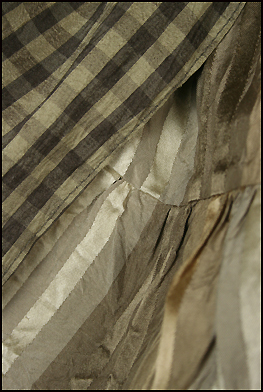 Tessa's dress is a checkered silk trimmed with vintage lace The under skirt is striped silk. 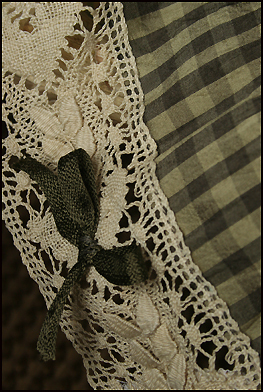 The collar is a crocheted doily that has been dyed. 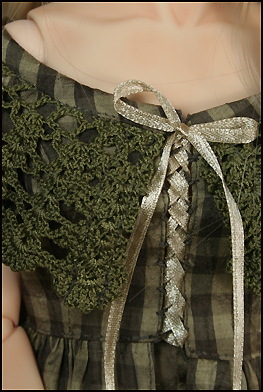 The bodice laces up in the front. 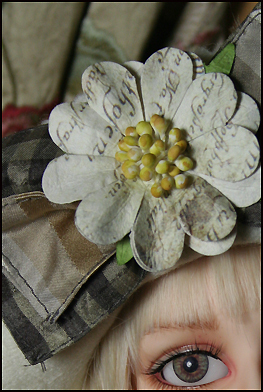 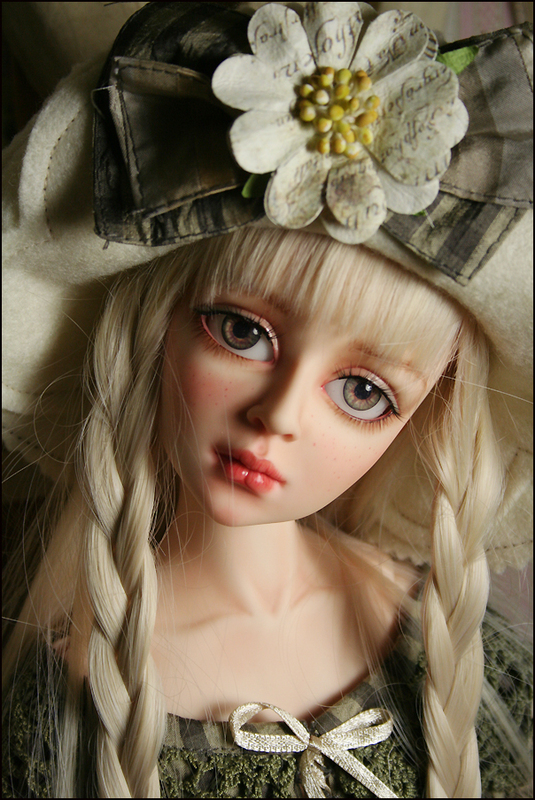 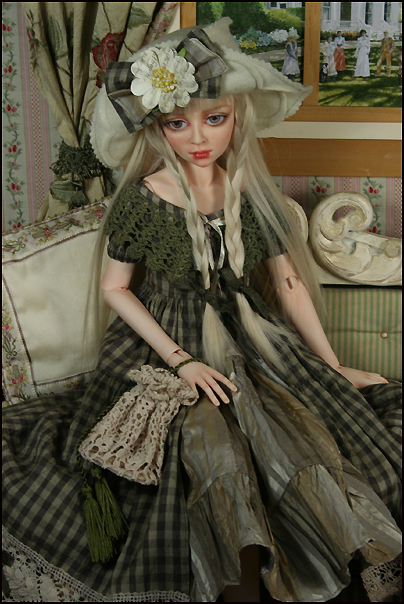 Her hat is felt with silk bows and a paper flower. 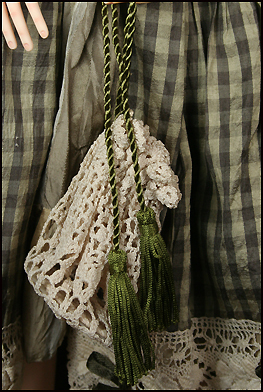 Her hand bag was made from a doily.